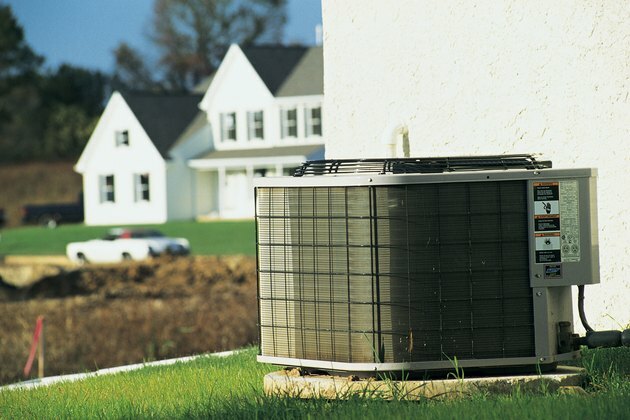 Your Goodman central air-conditioning system includes a compressor outdoors and a coil indoors on top of your furnace. 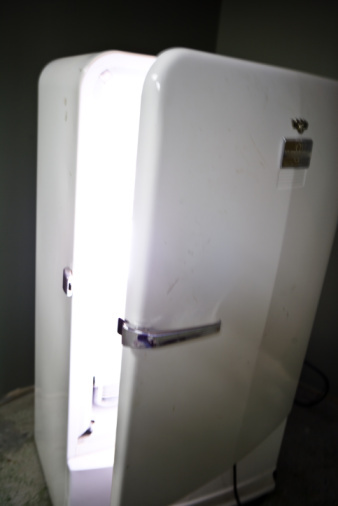 The compressor pumps a refrigerant gas to dehumidify and cool the air. It also removes heat and moisture from the air inside your home by circulating the warm air over the indoor coil and pumping it to the outside of your home and pumping the cool air inside. Over time, the compressor unit in the Goodman central air system may fail. When possible, refer to the user manual for information on troubleshooting and a diagram designating the parts in the system. Adjust the thermostat inside your home that controls your Goodman central air and heating system. Check to see if it is set on the cool setting, and that the temperature is set to a cooler setting than the current temperature reading inside your home. Go to where your breaker box located. Check all the breakers to make sure the circuit for the air-conditioning compressor hasn't tripped off. If you find the circuit breaker has tripped, you may have a short somewhere in the unit. Turn off the breaker in the breaker box for the compressor. Remove the cover on top of the compressor; unscrew the screws holding it in place. Turn off the power to the compressor. Check to see if the motor for the fan or any wiring inside the unit looks charred or damaged. Turn the compressor fan carefully with your hand to make sure it rotates. If it is stuck, the fan needs to be replaced. Check for any debris in the unit, such as leaves, sticks or grass, or to see if there is dirt on the condenser fan or coil. If so, the airflow may be blocked.